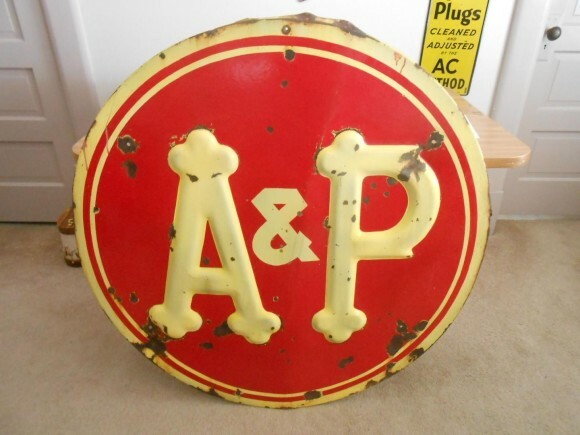 This simple A and P sign is red with a tan text color. The sign has a tan boarder and is circular. The diameter of this sign is 42″. There are clearly mounting holes where this sign could have been hung.